The new LITE-ON SSD EDSFF solution delivers storage density, system design flexibility, thermal efficiency, scalable performance and easy maintenance with front-load hot swap capabilities. The hardware design also supports low-latency, 3D TLC and low-cost QLC NAND flash based depending on end-users' specific cloud applications. Leveraging the CNEX controller's flexible dual-mode interface support, the LITE-ON SSD EDSFF protocol is configurable between traditional NVMe logical block addressing and the upcoming Denali software-defined interface (formerly Open-Channel SSD). "CNEX is thrilled to be working with LITE-ON on next-generation SSDs for cloud infrastructure," said Dr. Alan Armstrong, CEO and Co-Founder of CNEX Labs. "SSDs are experiencing explosive growth due to their inherent performance advantages, but the industry must move beyond legacy designs to provide more advanced, flexible, cost-effective solutions for non-heterogenous environments. In concert with LITE-ON, we bring this to reality through CNEX's hardware design expertise and proprietary low-latency SSD controllers, which feature best-in-class performance, QoS, low power consumption, and flexible support for media technologies and vendors." The LITE-ON SSD EDSSF is designed for ultimate flexibility for non-heterogenous and rapidly evolving cloud workloads - from high IOPS density artificial intelligence (AI) and compute-intensive applications to high capacity density near-line storage use cases. 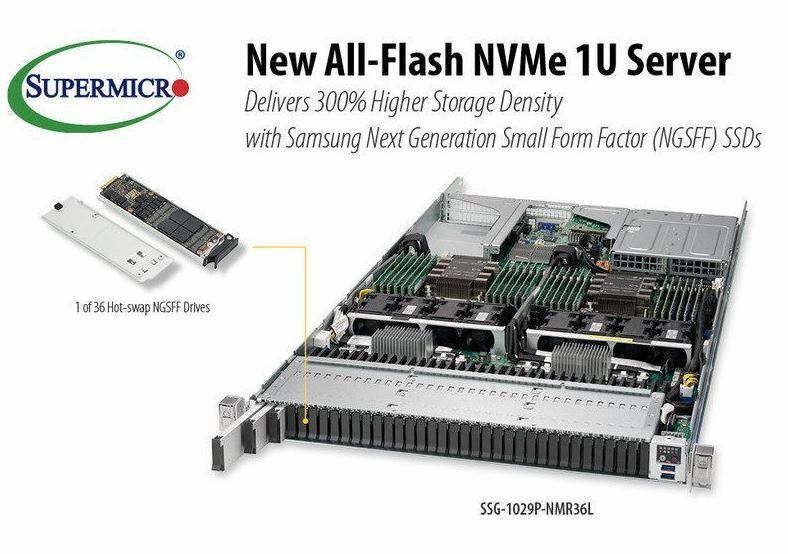 The initial design supports the EDSFF 1U Long form factor and 16TB of Toshiba Memory Corporation BiCS3 3D TLC NAND. However, capacity can go up to as high as 80TB with QLC technology. No timetable for the new SSD's release was announced. That's one long SSD, but could you guys stop with the weird acronyms, please? ... but could you guys stop with the weird acronyms, please? I think it fits right. Enterprise datacenter small form factor. I guess it would be cooler if they just called the NGFF(m.2), bubble gum drives and the EDSFF, Ruler drives? I think the Samsung M.3/NGSFF will take off more than these rulers. Just seems more practical. LOL! We're all glad you're here! It took me over nine hours to notice that. Thing is, in English, some of these might not be that difficult to pronounce, however in other native languages, they are translated because it doesn't make sense to pronounce them in english and that's when it gets awkward. In the end, this will just become a "server SSD". Putting some though into that, since we are in the globalization era, could help the rest of the world. But you were referring to "EDSFF" translating to "Erectile Dysfunction Small Form Factor," right? Cuz that's what I was laughing about.